June 22, 2016, was the first National HVAC Tech Day, a day pioneered by ARS/Rescue Rooter. 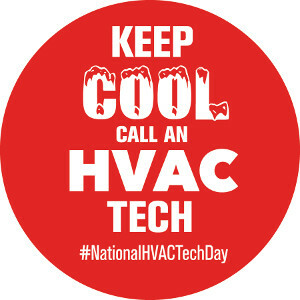 A flurry of activities occurred throughout the day in honor of HVAC techs and installers all over the country. Between the cakes, breakfast food, tacos, snow cone truck and luncheons, different HVAC companies pulled out all the stops to honor their HVAC technicians. What better way to start the day than a hot, delicious breakfast? Top left – ARS of Boston provided their HVAC techs had everyone’s favorite breakfast food including bacon, eggs, sausage, and biscuits. 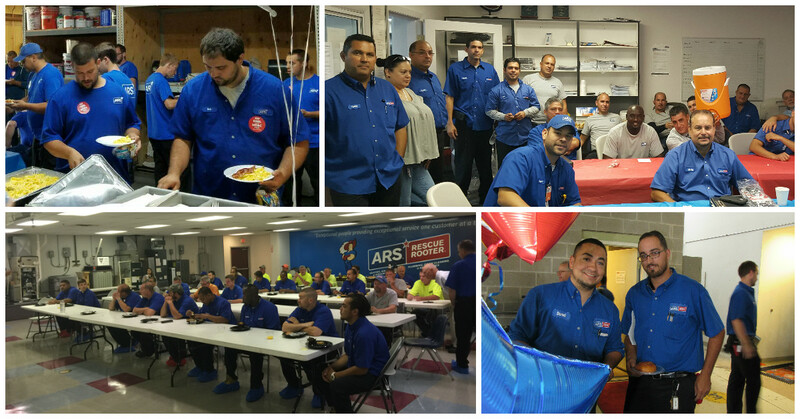 Top right – ARS of Miami not only provided their techs with lunch, but also had a full spread including a cake for lunch! Bottom left - ARS/Rescue Rooter of Indiana hosted a breakfast complete with bagels, croissants and loads of other goodies! Bottom right – ARS/Rescue Rooter of Illinois set up a bagel/doughnut/coffee bar and gave away some awesome gift cards for lunch! Top left – Blue Dot let their techs chill for a bit with a Kona Snow Cone Truck! Top right – ARS/Rescue Rooter Fort Myers had a really COOL cake, which they enjoyed after their delicious steak luncheon. 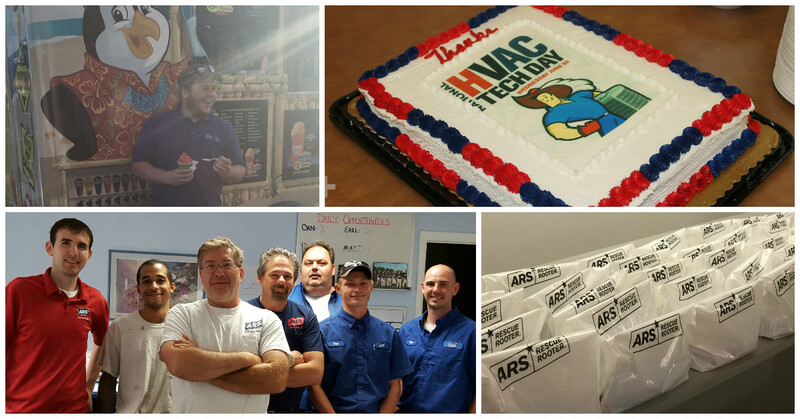 Bottom left – Some HVAC techs from ARS of Pittsburgh pose for a group photo before they enjoy their lunch together! Bottom right – Some branches made HVAC Tech goody bags and filled them with things that would be useful out in the field. Some of these items included water bottles, sunglasses, and personal fans! 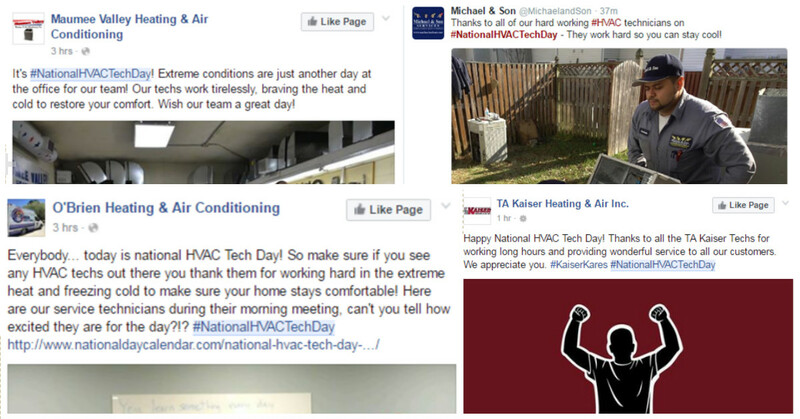 Another great way HVAC companies showed their techs appreciation last year was giving them a shout out on social media! Many companies also shared their activities throughout the day.